F.H.F.S: Gifts 3 to 7 from Shez! 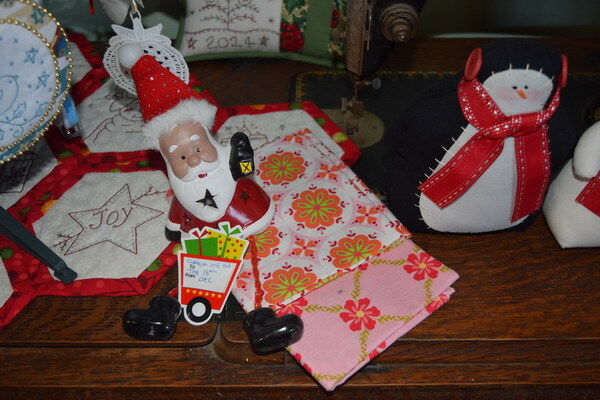 I'm a bit behind in showing you the wonderful gifts I have been opening from Shez. Day 3 - Two pretty fat quarters. 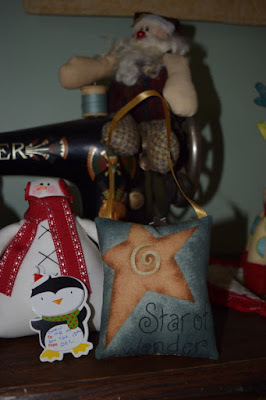 Day 4 - An ornament for my Blogging Friends Tree. 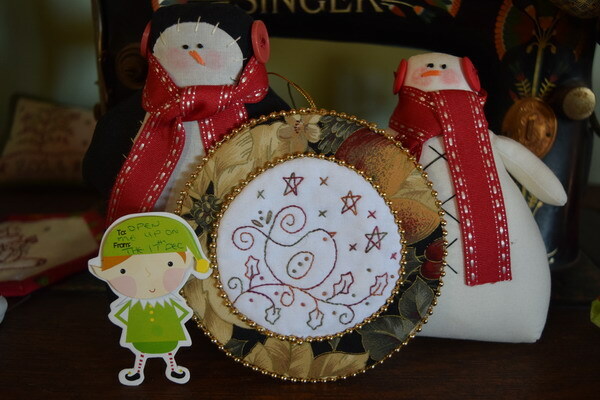 Day 5 - A cute door hanger. Day 6 - Two lovely patterns. 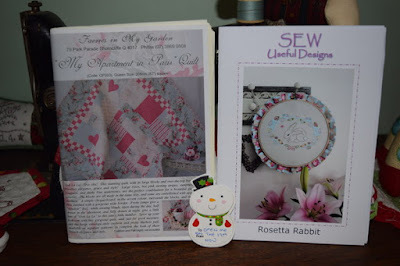 I've had my eye on Rosetta Rabbit for quite a long time. 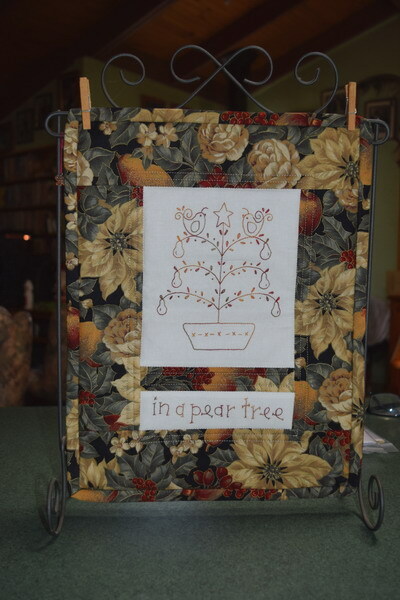 Day 7 - This gorgeous hanging which fits perfectly on my little stand. Thank you so much, Shez. You have really been spoiling me. LOvely gifts and they just keep on coming.